We’ve all heard stories of authors who arrive at writing conferences in their personal helicopters, who own multiple vacation homes, and who get million-dollar book deals. 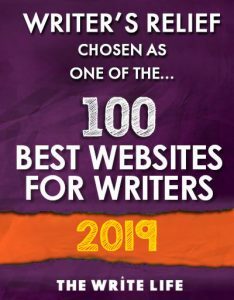 But realistically, what are the chances that you as a creative writer will join the ranks of writers who are making a ton of money? At Writer’s Relief, we know most writers don’t become zillionaires. Some are able to make a comfortable living as a writer, but others are not. Today we’re going to take a hard look at just how much money a creative writer can expect to make over the course of his or her career. We’re also going to give you some great ideas to help you make a little bit more money from your creative writing. …How Much Money Can I Make Writing Poems Or Books Of Poetry? …How Much Money Can I Make Writing Short Stories? Like so many of the world’s most tantalizing questions, the answer to “how much money can I make as a writer?” is: It depends. The amount of money you can make on a story, book, poem, or essay is subject to many factors: the freshness of your voice, editorial trends, your ability to research and submit regularly, etc. Here’s a breakdown by genre to help you understand how much money you may or may not make with your writing. How Much Money Can I Make Writing Poems Or Books of Poetry? Many poets want to make money writing poetry. The good news is that there are more opportunities to get poems published than ever before. The rise of digital publishing has increased the numbers of poetry-friendly literary journals that publish high-quality work. The number of poetry book publishers has also been on the rise in recent years. Plus, people are paying attention to poetry in ways they never have before. Poetry collections have not only been spotted on bestseller lists—they’re staying on them for many weeks. The rise of social media celebrity poets (sometimes called Instapoets) has energized a vibrant new generation of poetry lovers. Whether you are a new poet or a veteran, take heart knowing that there is a passionate, wide-reaching community of readers who appreciate the poetic arts. Unfortunately, for most writers, while poetry warms your heart and enriches your life, it is probably not going to pay your mortgage. Literary magazines that publish poetry are rarely able to pay their creative writers. Literary journals rely on government grants, donations, fund-raisers, and (sometimes) income from subscribers. There isn’t much left over to actually pay their contributors. Also, apart from a few breakout poetry books written by celebrity social media poets, most collections of poetry do not tend to be big-time bestsellers—so poetry books are unlikely to make you rich. That said, there are ways to make money on your poetry! Submit to reputable poetry contests. Poetry contests are extremely popular. There are many, many poetry contests running at any given moment of the year. Although poetry contests usually pay some form of monetary award along with publication, entering a contest requires an investment of the entry fee. Learn more: 8 Tips To Winning A Poetry Chapbook Contest And Getting Published | Writer’s Relief. If you are going to submit your poems to creative writing contests, please be aware that some competitions are not considered reputable in the larger publishing industry. Here’s what you need to watch out for. Create a poetry collection. You may find that it’s easier to sell your poetry if you offer it to readers in book form. There are many potential ways to get a poetry collection published. Submit to anthologies. An anthology is a collection of works curated by an editor or group of editors and published in book form. Editors sometimes (but not always) pay their writers for inclusion in an anthology. Find a great list of poetry contests and anthology calls for submissions right here! Submit to literary journals that offer payment or an honorarium. Identifying literary journals that are able to pay their poets takes a bit of research (which can cut into your writing time). But if you’re hoping to get paid for writing poetry, good research is a must. You’re most likely to discover payment information on a literary magazine’s submission guidelines page. Keep reading this article for a list of literary journals that pay for poetry! Embrace social media. There’s a new generation of poets who are rewriting the rules about poetry. These new online poets, dubbed Instapoets, have mastered the art of writing crowd-pleasing poetry that speaks primarily to young users of social media. 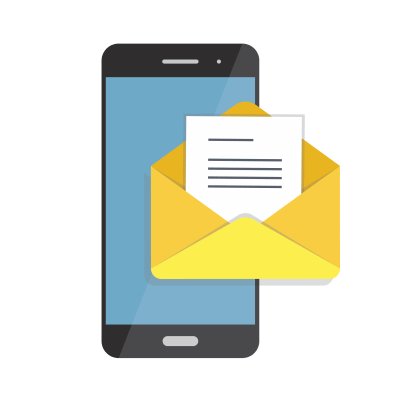 Instapoets are sometimes able to merchandise their poetry, command great advertising rates on their websites, secure lucrative book deals from major publishers, and hit the top bestseller lists. If you have mastered the art of building a fan base on social media, you may have a future as an Instapoet. Learn more about how to grow a following as a poet. Teach. If you’ve always been good at sharing your passion for language and literature, you might consider becoming a poetry teacher or a professor of literature. Although adjunct instructors tend not to be paid as well, full-time and tenured professors usually make a comfortable living. Learn more about how to start a career as a full-time creative writing teacher. But even if you don’t embrace teaching as a nine-to-five job, you may be able to earn a little extra money by teaching seminars in continuing education programs. Sing for your supper. If you’re a poet who loves music, you may find a niche for yourself as a songwriter. Learn more about how to turn your love of poetry into a songwriting career. Look for appropriate career spin-offs. You may not be able to make a living as a poet, but you might be able to get a job as a poetry editor at an independent press. Or you may find work at a major charity that supports the arts. Poetry-related jobs are out there; do some research and networking to find them. However, you may need to build up a great author bio to get a job related to the poetry industry (and Writer’s Relief can help you with that). Start your own business. Poets are often creative and flexible, and because of that, some poets can make great entrepreneurs. 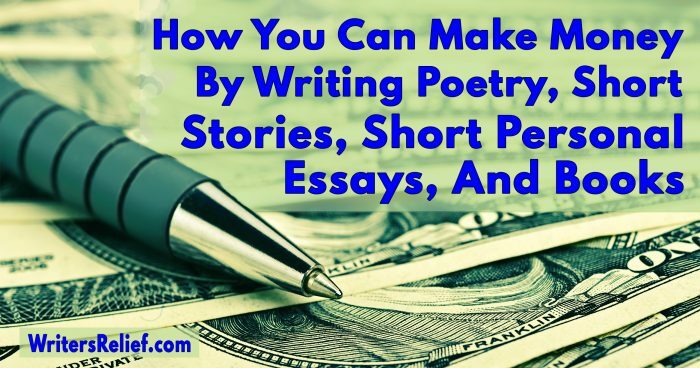 With a little effort and talent, you may be able to create a market for your poetry. Perhaps you could write customized poems that give voice to the sentiments that other people just don’t know how to say. Embrace your inner entrepreneur and your muse at the same time! Write for greeting card companies. Greeting card companies invite poetry submissions, and poets are sometimes given a byline for their work that appears in cards. But keep in mind that the poetry featured in greeting cards tends not to be experimental or literary in tone. If your poetry is emotional and accessible, you might be able to make a little money by submitting your poetry and verses to greeting card publishers. You may also want to consider the importance of getting your poetry published, even if you don’t get paid: 33 reasons why getting published can boost your writing career. How Much Money Will I Make Writing And Selling A Book? Book authors stand a chance of making a meaningful amount of money if they are able to get significant book deals or if they can self-publish and collect revenues from a passionate book-buying readership. However, at the time of this writing, surveys indicate that the number of writers who are able to make a full-time living as a book author seems to be decreasing. How much money can you make on a book deal from a traditional publisher? There are no rules dictating what a “small” or “big” book deal actually is. But let’s look at some concrete numbers in order to give you an idea of what you might expect. According to recent statistics, a major publishing house might pay its new writers $2,000 or more for a book or novel. A smallish book advance may range from $5,000 to $20,000. A middle-of-the-road book deal may be $20,000 to $60,000. A significant deal may be $60,000 to $150,000. And, of course, advances can go through the roof for a book that every editor is clamoring to publish. Don’t worry about writing a book or getting famous or making money. Independent publishing houses may pay less than $2,000—but if you consider that independent presses often release books that speak to niche audiences, that number may represent a larger investment to them than the tens of thousands of dollars a major publisher may invest in a book. Sometimes, writers will be offered a book deal with no advance at all. New-style publishers—who have national distribution, best-selling authors, and strong sales—are sometimes foregoing traditional advances and instead paying their authors royalties alone. If you are offered an advance, a good literary agent can help ensure you get top dollar. Agents also protect their clients from fine-print agreements that are less than favorable. Sometimes, literary agents can also negotiate royalty rates. Writers who earn out their advances (sell more books than the initial advance covers) are often entitled to royalties for totals above and beyond the initial payment. The stronger your sales, the more royalties you could earn. Smart marketing, fan building, media buzz, and the timeliness of your subject matter all play a big part in how much money you stand to make from sales of your book. How much money can I make self-publishing a book? Self-publishing can be lucrative, especially if you are writing in a popular genre whose readers prefer the e-book format. That said, it is a generally accepted statistic within the publishing industry that most self-published books recoup the cost of the author’s investment, but not much more. There are no general statistics that can be applied to a self-published author’s potential journey through the publishing industry. Some self-published authors pay absolutely nothing to release their e-books when they take a DIY approach. Others make a meaningful investment in order to ensure the highest possible standards for formatting, proofreading, printing, and cover art. Here are some fascinating statistics regarding the profitability of self-publishing. If you are interested in self-publishing your book but want help navigating the process, consider Self-Publishing Relief! How Much Money Can I Make Writing Short Stories? As with poetry, short stories are generally published in literary magazines which rely on income from grants, donations, subscribers, or academic budgetary committees. With small operating budgets, most editors and literary journals are unable to pay their contributors. Some commercial magazines do pay writers to publish short stories. In fact, newsmagazines like The New Yorker are known for publishing contemporary creative writing (and they pay well). But high-circulation magazines are extremely competitive, and there are very few of them that are paying for creative writing. That said, there are a few ways you can make money publishing short stories apart from submitting to well-known magazines. Enter writing contests. Short story writing competitions are varied. Some contests ask writers to enter a single story. Others invite writers to submit full-length short story collections. Although there is usually an entry fee associated with short story contests, winners benefit from substantial monetary prizes as well as publication. The notoriety of winning doesn’t hurt anything either! Click here to access a list of fantastic short story writing contests. Create a short story collection for book-length publication. Some literary agents are willing to consider books of short fiction (here’s what you need to know if you’re writing a query letter for a short story collection). But you don’t necessarily need a literary agent and a major publisher to release your short story collection. Writers can submit their short story collections directly to editors at indie publishing houses. Entrepreneurial writers may have luck in self-publishing their short story collection. Whatever path you take, it is possible to make money publishing short stories in book form. Submit to literary journals. Although we already mentioned that the majority of literary magazines are unable to pay writers for short stories, a few do manage to give their authors a small honorarium or payment. Do your research to discover which literary magazines are paying for short stories. Learn more about how to find literary magazines that pay writers. You may also want to consider the importance of getting your short prose published, even if you don’t get paid: 33 reasons why getting published can boost your writing career. If you have a unique true story and an intriguing voice, you may find that your nonfiction writing is widely marketable. Although glossy “supermarket” magazines rarely publish poetry or short fiction, they do regularly publish personal essays, commentary, and opinion (learn more here about the differences). Magazines for parents publish true stories about raising children. Fitness magazines are looking for true stories about real-life battles with physical challenges. Food magazines sometimes publish essays related to kitchen and dining adventures. The pay rate for personal essay and narrative nonfiction varies from one magazine to another. Some magazines pay by the word. Others pay per submission. Some people are able to make a living as freelance writers by submitting their true stories as part of their overall strategy to ensure a healthy bottom line. If your life has granted you experiences that could prove to be entertaining/instructive/surprising to a magazine’s audience, then your personal essay might earn a publishing contract. The material must be true. Sometimes the line between fiction and nonfiction is fairly thin. If you’re not sure if your personal essay is more like a memoir, check out this article: Fiction Or Nonfiction? Memoir Or Novel? Know What To Call Your Story. You may need to send a query letter first. Check out the submission guidelines for each individual magazine that you’re considering for your personal essay. If you cannot find the submission guidelines, send a query letter to the appropriate editor with your contact information, author bio, and a short paragraph describing your potential submission. Do not include your actual manuscript unless you are invited to. Keep it short. Essentially, the shorter your personal essay is, the more likely you will be able to find a home for it at a paying publication. Some magazines publish personal essays that are only a few hundred words long. Personal essays in commercial magazines rarely top the 2,000-word mark. If you’re not sure of an editor’s personal preference, send an email query to ask about guidelines. Few magazines will accept writing that has already appeared somewhere else. If you have published your personal essay on your author website, a social media profile, or a blog, you may need to check with editors to be sure that they are willing to consider previously published writing. Most editors prefer personal essays that have not appeared elsewhere (not even online). Ask your literary agent for help. If you are working with a literary agent to sell a full-length memoir, be sure to communicate your interest in publishing excerpts of your memoir in commercial magazines. Your literary agent may have connections that can help. Many writers actively pursue traditional publication in hopes of getting paying contracts. But there is another way to get money to support your writing efforts: government grants and funding. One of the most consistently magnanimous supporters of modern artists and writers in America is the National Endowment for the Arts (NEA). The NEA regularly makes substantial monetary grants to promising creative writers in the United States. The NEA is an independent government agency whose mission is to “fund and promote artistic excellence, creativity, and innovation for the benefit of individuals and communities.” Since its inception, the NEA has awarded more than $4 billion to writers and artists. What Types Of Grant Money Does The NEA Award? Translation Projects— The NEA awards Translation Projects money to published translators to encourage the translation into English of specific works of prose, poetry, and drama. These grants can run into the tens of thousands of dollars. How Do I Apply For An NEA Creative Writing Fellowship? Learn more about applicant eligibility and downloading the application. When you extend your passion for creative writing into other areas, you might improve your chances of making money. Here are some great ideas for day jobs that creative writers may love! Blogger—There are approximately 6.7 million people who blog on blogging sites and 12 million who blog on social media, and these numbers will continue to grow. Technical Writer—According to the Bureau of Labor Statistics, this field is expected to grow 15 percent through 2022. Librarian/Circulation Assistant—A degree in library science will prepare you for a life lived among books. Editor—Editors work at major publishing houses, scholarly journals, independent presses, publishers that specialize in certain fields (like education), magazines, review websites, and more. Copywriter—Copywriters write everything from advertisements to news articles to blog posts. This field is predicted to grow 8 percent by 2022. ESL Instructor—English-as-a-second-language instructors teach in a variety of educational settings. Archivist—Archivists work with paper, film, and electronic records. Interpreter or Translator— As international business dealings continue to grow, the need for translators and interpreters will increase. Marketing Assistant—A marketing assistant performs a variety of tasks, often writing content for clients. Teacher—Your love of words can extend into many different areas of education. Discovering that there may not be a lot of money in your chosen genre could be a disappointment. And that can lead writers to the inevitable question: If I can’t make money, why should I try to get my creative writing published? Often, the advantages of publishing your creative writing are not financial. In fact here are 33 reasons why getting published can boost your writing career and put you in a great place to start getting paid. If you’re hoping to build a reputation (and income) for yourself as a writer, getting published regularly is a must. What can you do to help writers get paid more? Subscribe to literary journals to ensure that they will not disappear. Regularly share your love of the written word on social media. Buy books for your friends as gifts. Pay for literary magazine subscriptions for your friends as gifts. Live your life as an advocate of creative writing! Question: Have you found a way to make money as a creative writer? Tell us in the comments section!